Lawson (Resist, 2012, etc.) mixes true-to-life fears with intimate character portrayals in this conspiracy thriller, her first work of YA fiction. In the not-too-distant future, tensions across the globe escalate, and America transforms into a totalitarian state to protect its citizens. Many basic freedoms and creature comforts, from large public gatherings to grocery shopping, remain distant memories, as the Office of Civilian Safety and Defense assures citizens that these measures will keep them secure. But “Compliance is a small price to pay for your safety” isn’t good enough for Careen Catecher and Tommy Bailey, 18-year-olds whose dark histories give them a unique perspective on threats and control. When the OCSD announces an antidote to a dangerous new terrorist weapon, the public accepts the drug without question. But Careen and Tommy, among others, experience vivid hallucinations and profound disorientation, and it becomes harder and harder to think about why they’re taking the medication. When it becomes clear that the threat is a fabrication and the so-called antidote is nothing but a tool to pacify and control the populace, the two decide they must leave everything behind to escape and find the Resistance. At one point, a Resistance member explains the movement’s philosophy: “Free thinkers, like those of us in the Resistance, want to decide for ourselves what’s good for us. We’d like our private affairs to remain private. We’d like the chance to take a risk.” While the psychedelic quality of some of the early chapters makes it difficult to initially connect with the characters, they quickly grow and morph into striking individuals. Beyond Tommy’s ongoing struggle with injury and Careen’s deep-seated anger, the novel introduces a host of secondary characters with their own senses of purpose and drive, rendering a mad world human. As with many dystopian settings, parts of the conspiracy strain the limits of believability, but the concept here is deeper and more complex than one might expect at first glance. The author delivers intriguing details about this fractured world, from the nuances of how the government divided the country into quadrants to the fact that the antidote contains a large quantity of LSD—a clever reference to America’s real-life experimentation with the drug in Project MKUltra. There’s much here to discover. 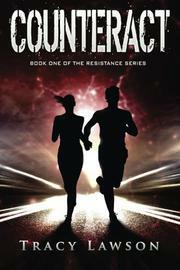 An exuberant start to a promising new YA series about a totalitarian America.